School doodle background. 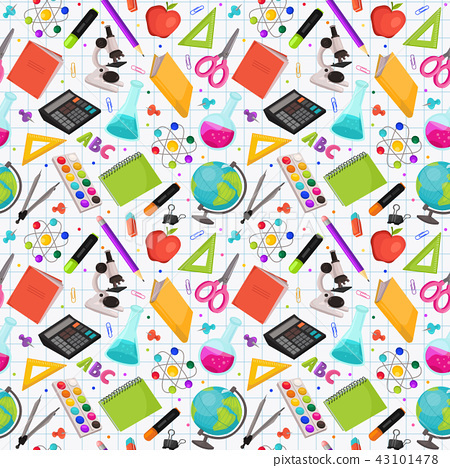 Vector seamless pattern from school elements hand drawn on white background. Back to school backdrop in sketch style.